It’s that time of year when those beautiful Christmas Cards start arriving in the mail of your favorite loved ones. Today’s project will make it easy to display them, it’s a 5×7 photo display board. But you can use this display board all year long to display your favorite 5×7 prints. This photo holder makes changing out cards and photos really slick, they just slide out! 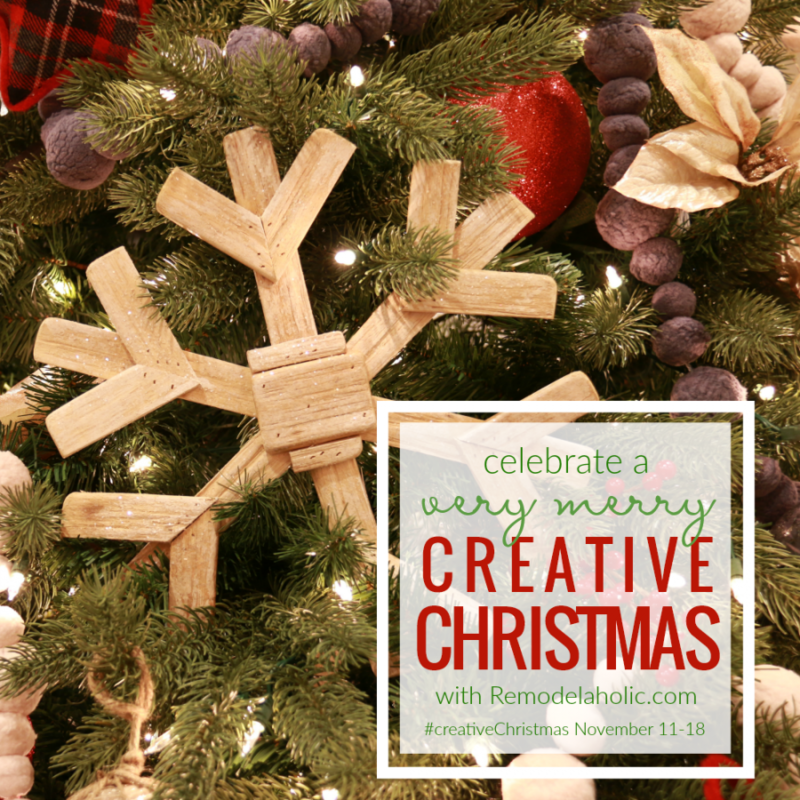 I’m joining with a few other bloggers for a Creative Christmas Challenge hosted by Remodelaholic. 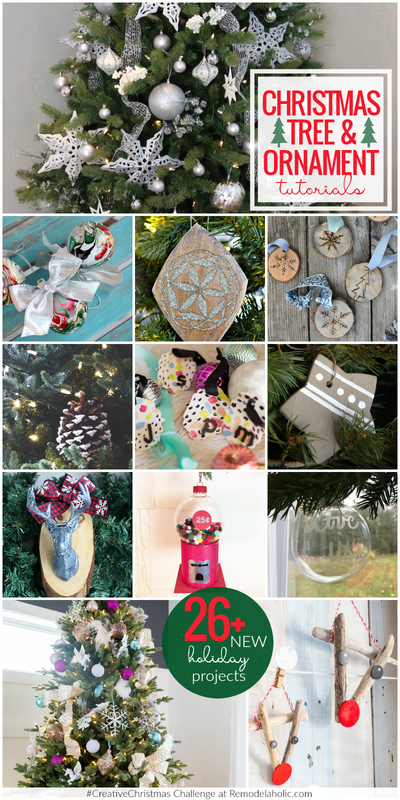 You can check out all of the fun and festive projects at the end of the post. Plus Remodelaholic will have features and a link party all week long, it’ll be fun to check out. 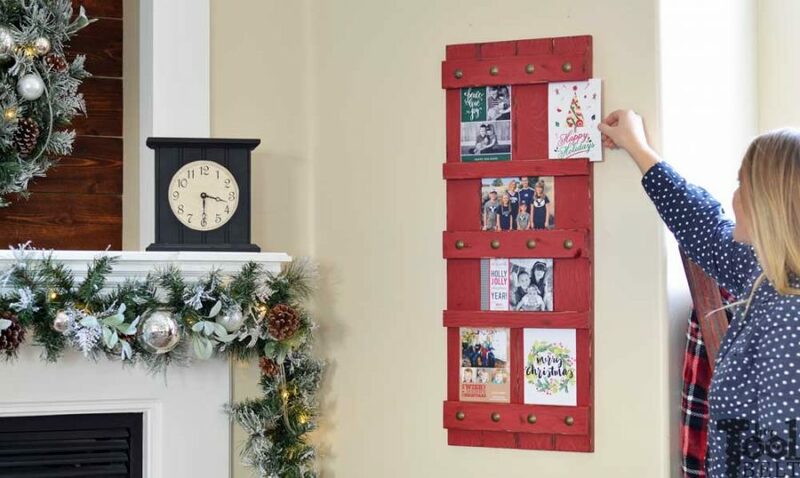 Picture hanger or route a keyhole in the back. 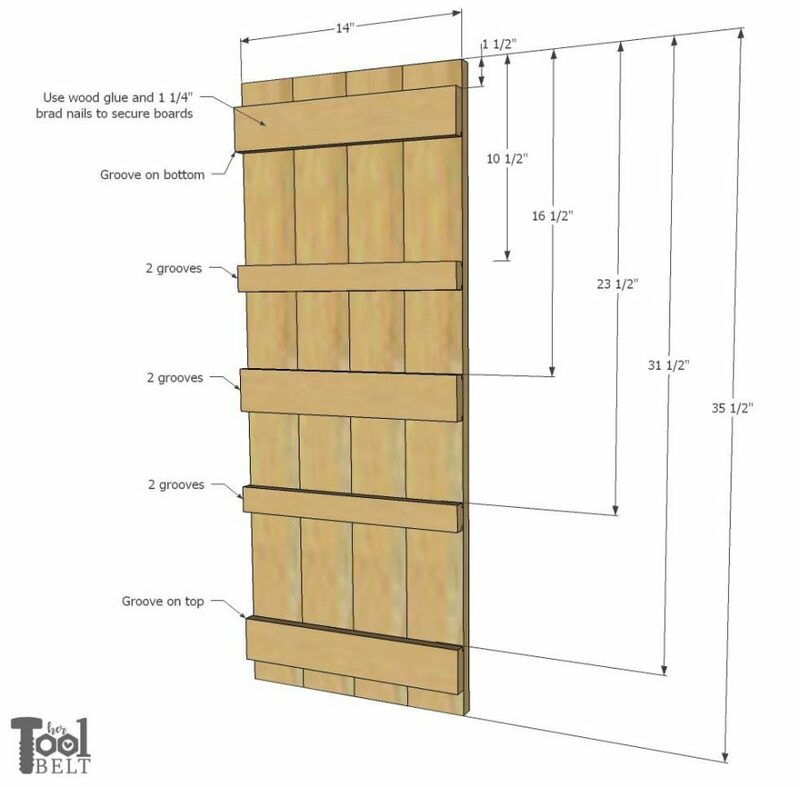 Cut the 4 – 1×4 back boards to 35 1/2″ long. 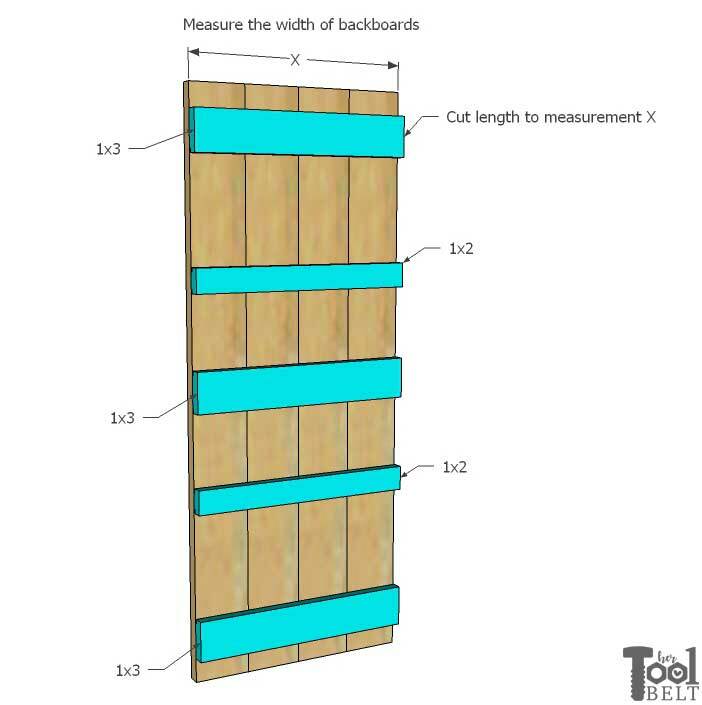 Place the 4 backboard side by side and measure the width, this will be the length of the 1×3 and 1×2 boards. 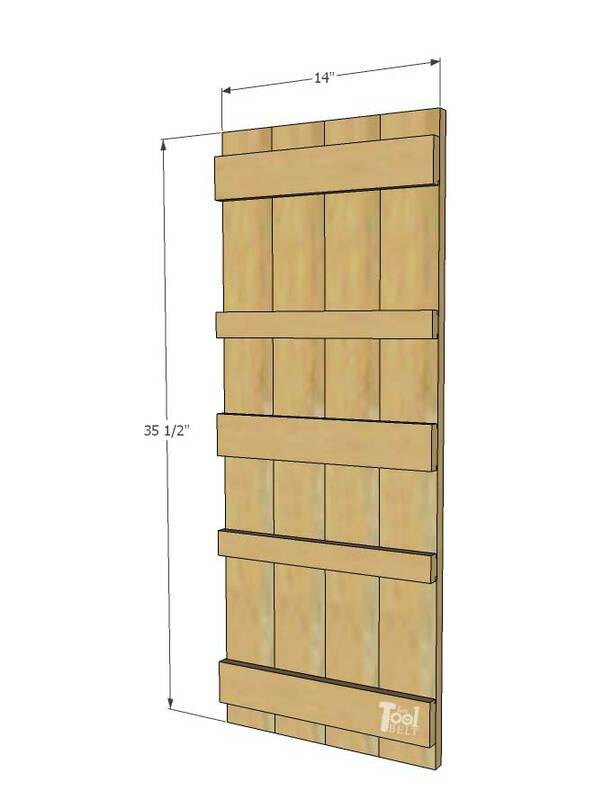 The widths of some 1x4s will vary between 3 1/4″ – 3 1/2″. Mine is 14″. 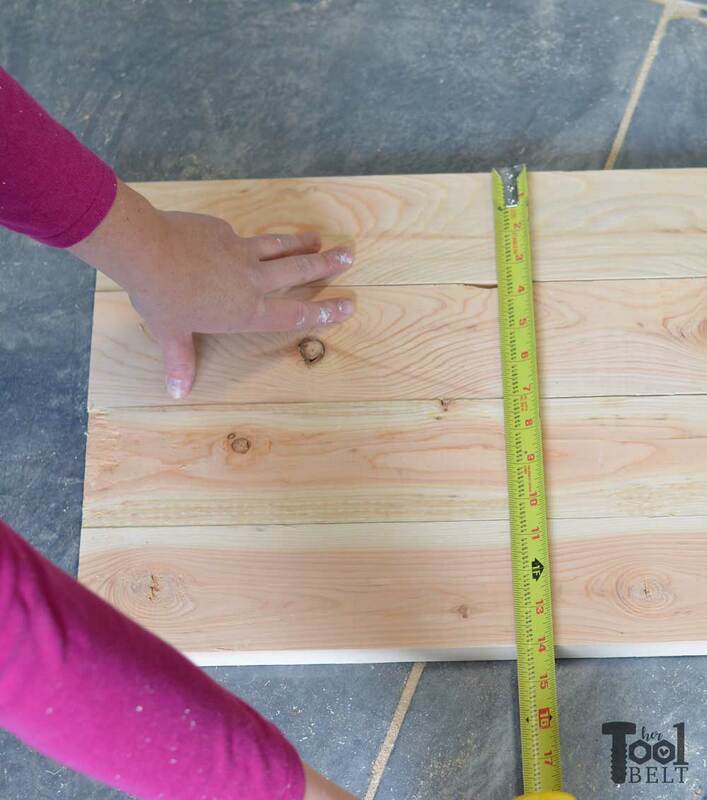 Cut the 3 – 1×3’s and 2 – 1×2’s to the measured length. 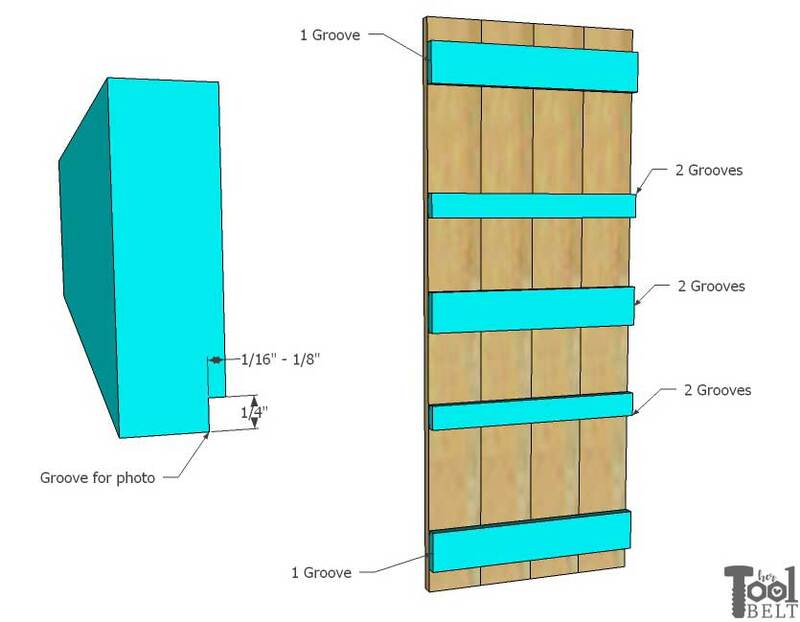 To let the photo prints slide we need to cut grooves in the horizontal 1×3 and 1x2s. 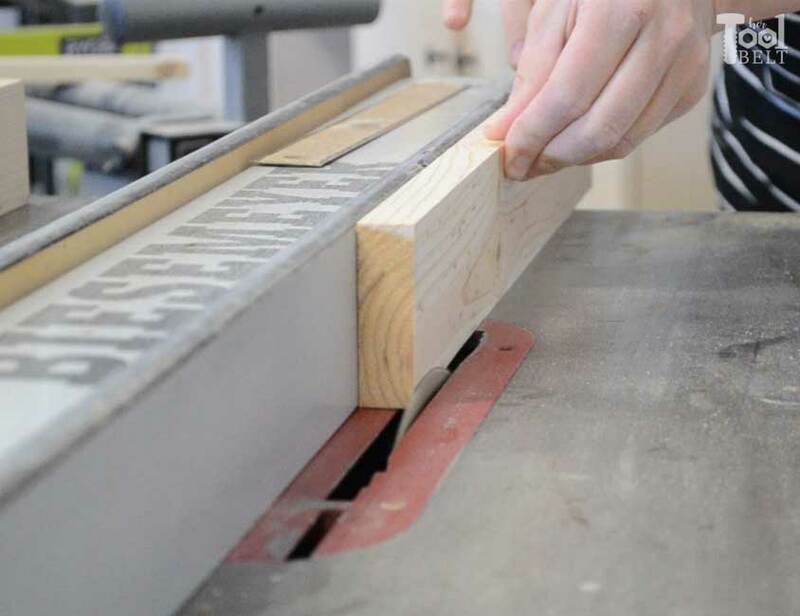 The top and bottom 1×3’s will only have 1 groove cut, the other 3 boards will have two grooves cut (one along the top and one along the bottom). 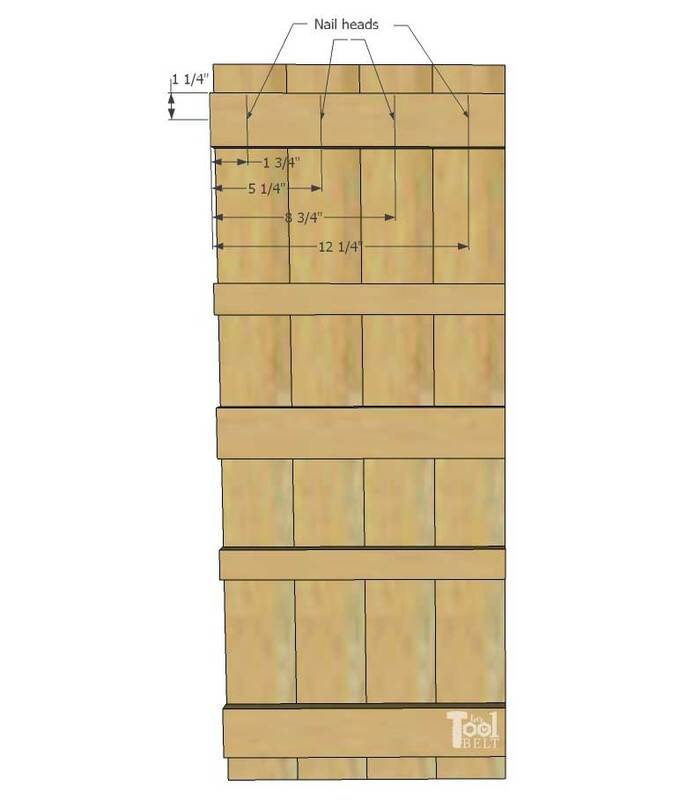 The groove should be 1/4″ tall (or a hair higher) and about 1/16″-1/8″ wide. I use a table saw to cut the grooves. But you can alternatively use a circular saw with the blade depth set at 1/8″ and doing multiple passes or a router will work really slick too. Once all of the boards are cut and grooves made, sand the boards. Time to assemble the 5×7 photo display board. 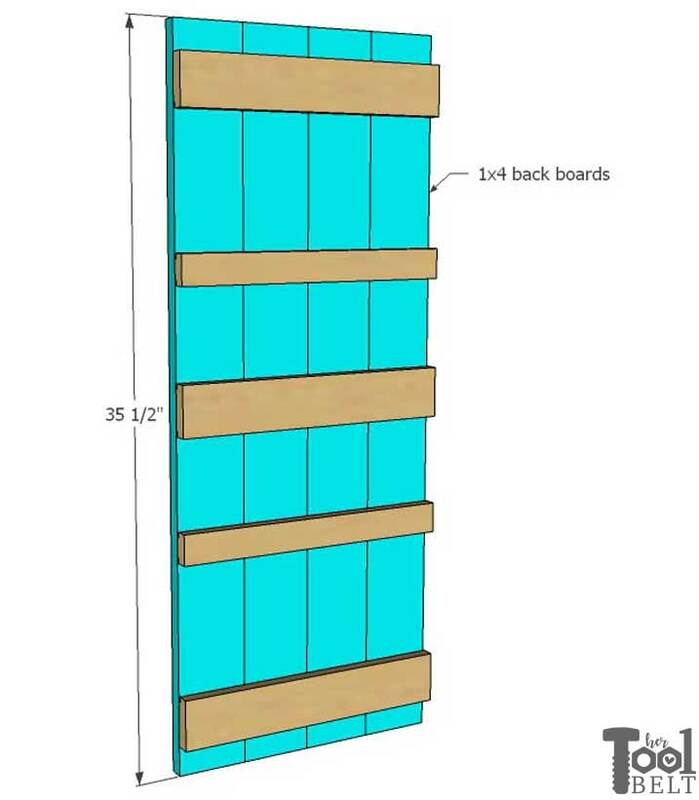 Line up the 4 backboard and mark the locations for the horizontal 1×3 and 1x2s. 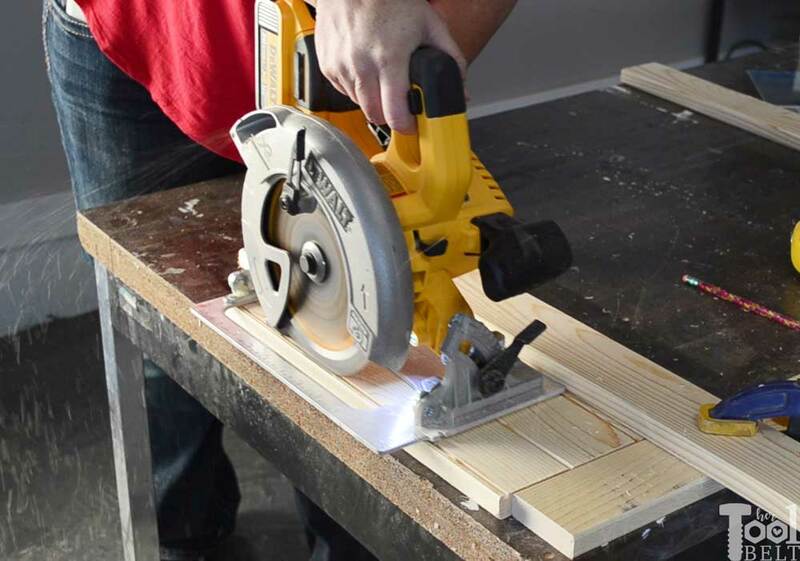 Use wood glue and 1 1/4″ brad nails to secure the horizontal 1×3 and 1x2s in place. Try to avoid getting glue to close to the groove, that will stop the photo from sliding easily. If you want fill all of the nail holes with spackle or wood filler, when dry sand smooth. 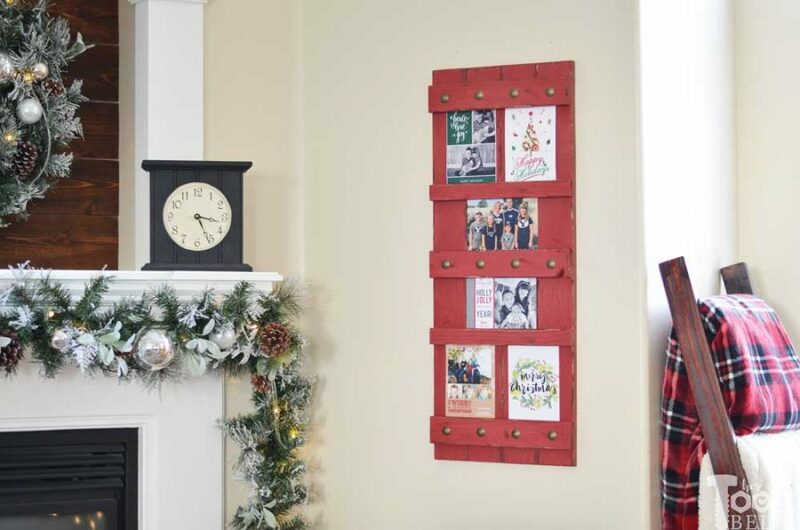 Paint or stain the photo board as you’d like. I first stained the board with dark brown Kona and let the dry. I put a little vaseline in areas that I didn’t want paint to stick, like the board edges. 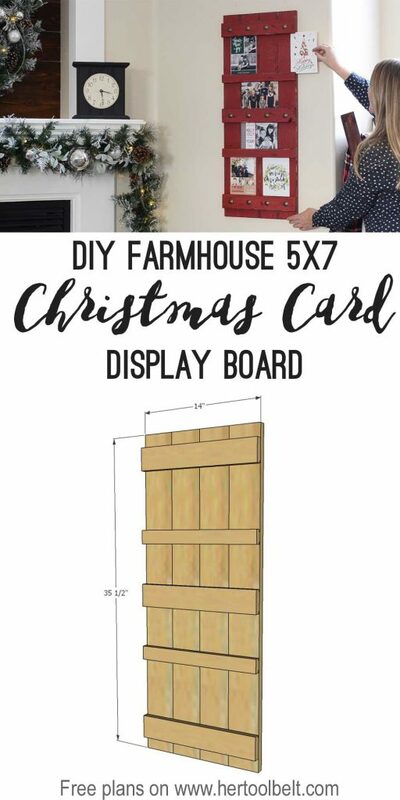 Then I spray painted the board with Rustoleum Heritage Red (you can use paint you brush on too, I wanted to use up a partial can of spray paint.) Let the paint fully dry, then use sand paper to distress the paint letting the dark brown peak through. I added cute star nail heads for character. What a cute project! 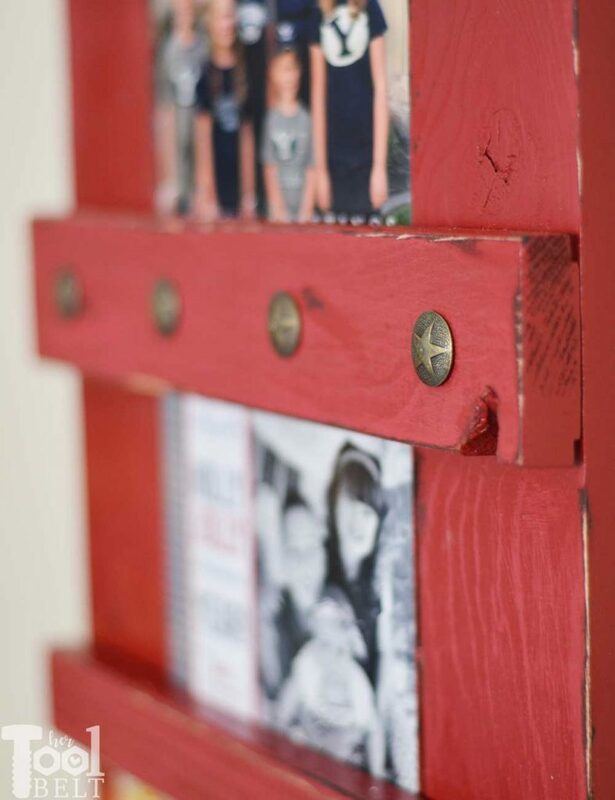 Great way to use up some scrap lumber. Thanks for the plans! This is suh a fun idea! I love that it can also br used year round!